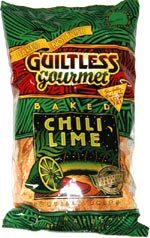 Taste test: These light orange-colored chips have a medium-strength initial kick of chili and lime, and a lingering aftertaste. 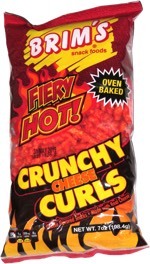 The chips are faily big and mostly unbroken, shaped like triangles but with one rounded edge. Not bad. Smell test: You can definitely smell both the chili powder and the lime.